“Poverty starts with the stomach.” These words, spoken to me by Samuel Ndiritu, the co-founder and director of Grow Biointensive Agriculture Center of Kenya (GBIACK), encapsulate the truth of BGR’s core mission. This past November, I was fortunate enough to make a remarkable visit to GBIACK, where I was hosted for an afternoon by Samuel and his wife and GBIACK co-founder, Peris Ndiritu. 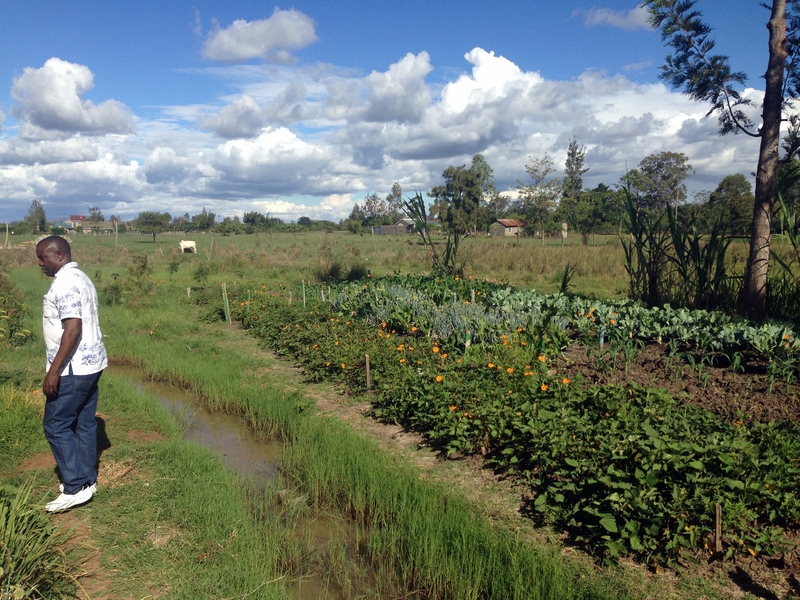 Their work is quietly transforming local agricultural practices in Kenya and beyond, one farmer and one acre at a time. 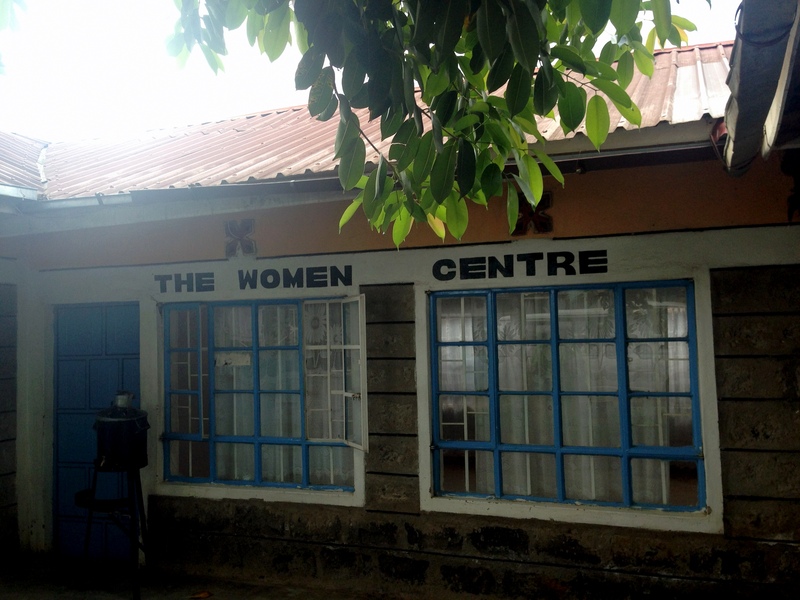 Built in 2009, GBIACK is situated about 50 kilometers east of Nairobi in the small but bustling village of Thika. Sitting upon the 1.5 acre farm is a dormitory for trainees, a front office, a seed bank, a kitchen and dining hall, a sewing classroom fully equipped with machines, a library, and a charming gift shop where crafts made by residents are sold to the public. The center serves as a model for the kinds of Grow Biointensive (GB) techniques that Samuel and Peris (with support from BGR through our partner, Ecology Action in California) hope to impart to program participants. 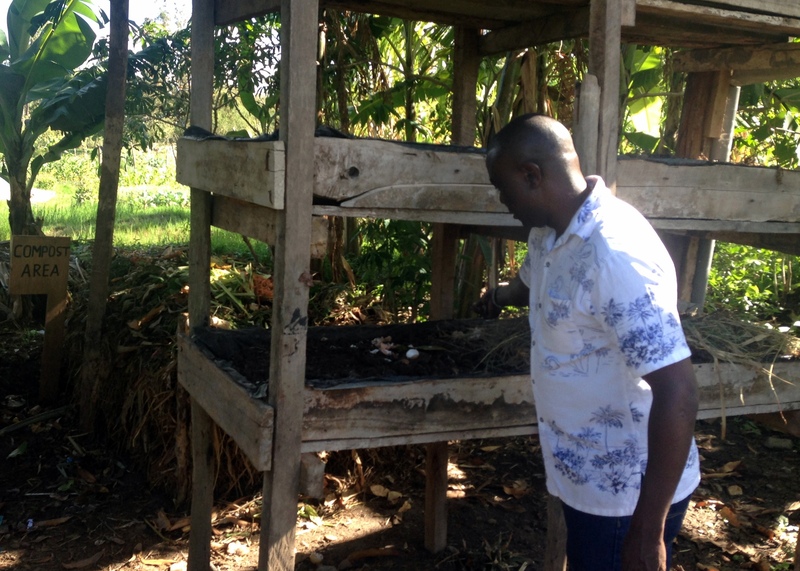 The potential of the GB system to help local farmers lies in its being a “closed loop” system, where farmers preserve and bank the seeds yielded by crops, while carefully cultivating healthy compost to treat the soil. In this way farmers can become self-sufficient and can subsist without purchasing products such as genetically modified seeds or chemical fertilizers. These products and the multinational companies that sell them represent what Peris identifies as “our biggest competition.” GBIACK’s work is a powerful counterbalance to these companies’ exploitative crop buyback agreements that force farmers to purchase their proprietary GMO seeds and fertilizers in return for short-term benefits that are fleeting at best. Peris explained that these agreements do not serve local communities as they are contingent upon globalized market demand and a consistently plentiful crop yield. Furthermore, the seeds farmers are required to use are often for crops to be sold internationally, thus rendering a surplus that is useless to the farmers and their community. This scenario plays out regularly, often leaving farmers mired in debt and with infertile land. GBIACK’s primary objective is to persuade local farmers of the efficacy of GB farming in fostering food independence so they can avoid this predicament. According to Samuel and Peris, recruitment is a crucial task in empowering local communities to take control of their own food supply. Finding committed participants is a challenge facing GBIACK as individuals often spend up to one year at the center and benefit from limited GBIACK resources during their training in GB practices. The hope is that trainees will diligently implement GB farming at home and spread their knowledge to other parts of their community. Samuel and Peris found that these committed recruits are often women involved with “Merry-Go-Round” groups, which serve as centralized meeting places in a community. A Merry-Go-Round is a type of rotating savings and credit association (ROSCA) practiced throughout East Africa, where money and other resources are pooled and given or lent to a single individual at a time. Samuel also points to the sewing and weaving classes at GBIACK as expressly intended to give women vocational skills to resist sexual exploitation, a serious and lamentable risk of poverty seen by many of BGR’s partners throughout the world. For these reasons, in its recruiting efforts GBIACK places a special focus on finding female participants for its programs. Regardless of their gender, GBIACK program participants are trained in best practices for composting and soil care (I learned that Kenyan soil has a difficult clay composition), seed banking, crop rotation, basic livestock care, and greenhouse farming techniques. 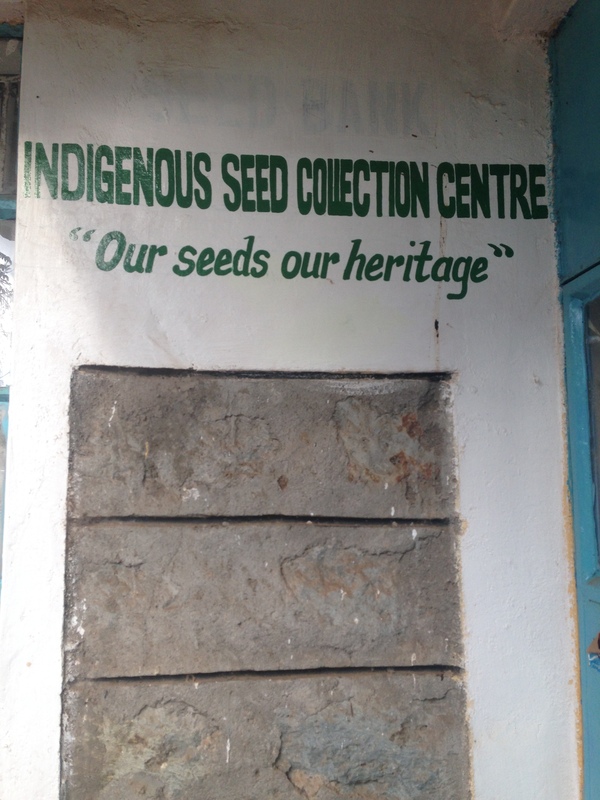 I was particularly impressed by the plentiful supply of seeds at the center, all of which were collected and preserved from crops grown on that same farm. Although GB farming is anything but simple, the elegance of seed banking seems not only a rejection of the “big ag” model, but of the general arrogance of technologically controlling such a basic human activity as farming. I witnessed many other ingenious and common sense solutions offered by GBIACK to small-scale farmers, from how to properly remediate clay soil, to a quicker way to cultivate worm compost. I saw adorable children with their mothers who seemed safe and healthy as their mothers went about the day’s activities. 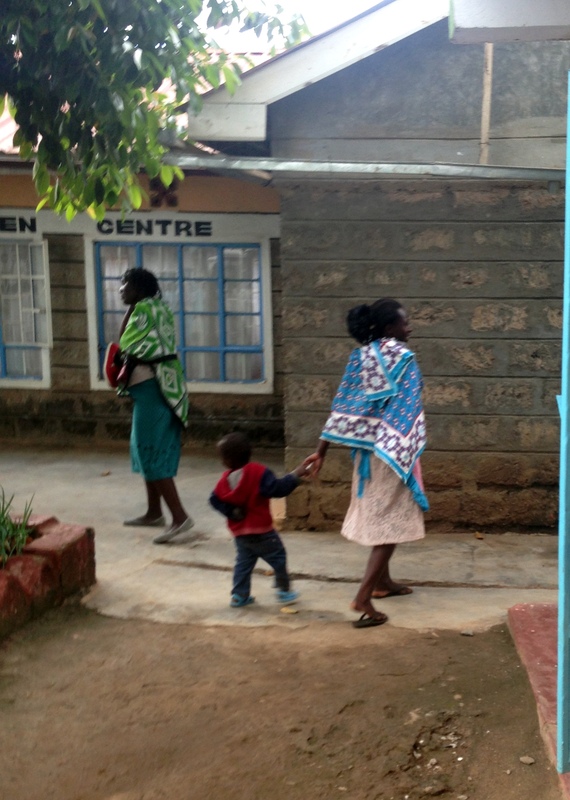 The center was alive with an inspiring energy that is the result of GBIACK’s compassionate mission. Aside from their work at GBIACK, Samuel and Peris are becoming an international presence as public speakers and representatives of GB farming. During my visit, Peris was preparing to travel to India to attend a workshop in ancient seed preservation techniques. Samuel himself was preparing to fly the same day to speak at the COP 23 summit in Bonn, Germany. Passionate about the role of agriculturalists in addressing climate change, Samuel recounted to me his observations about how irregular weather has adversely affected crop yields in his community, and how the global food industry could greatly contribute to reducing greenhouse gas emissions worldwide. As their efforts at GBIACK continue to grow, Samuel and Peris are searching for greater resources, trustworthy staff, and motorbikes, which will take them farther into central Kenya, where poverty is even more severe and the need for intervention even greater than in Thika. I left our visit with a sense of awe about the sheer magnitude of the problem, and how Kenya is but one slice of a global poverty crisis. But meeting Samuel and Peris gave me the sense that somehow things were under control, that the future is bright for our work at BGR. Daniel Blake is a professional jazz saxophonist and a Board member of Buddhist Global Relief. This entry was posted in Agriculture, Engaged Buddhism, Food security, Projects & programs and tagged Ecology Action, Engaged Buddhism, Kenya, sustainable agriculture. Bookmark the permalink.